Ancon Agency provides collective transfers in Cuba. Our clients can book transfers from and to the most popular tourist destinations in Cuba. The most requested transfer services are the following ones: Havana airport – Varadero, Havana – Varadero and Havana – Cayo Santa Maria. 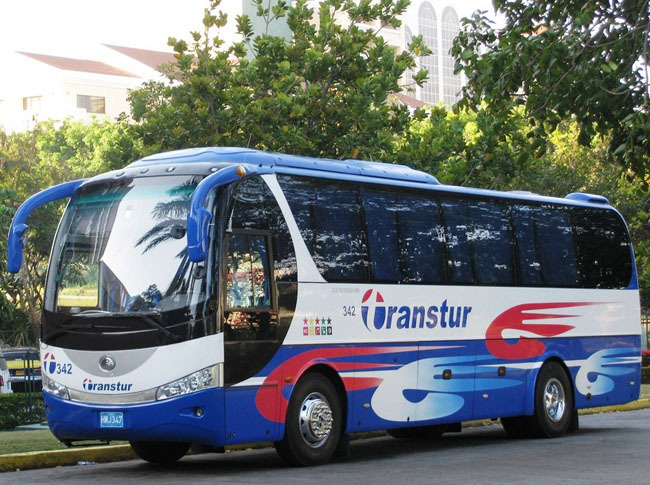 The collective transfers in Cuba are carried out in modern buses. Children under 2 travel free of charge. ATTENTION!!! Collective transfers from the airport are provided only for flights by Air Europa, Iberia, Vuelos de Cubana from Spain, Mexico, Colombia, Argentina, Charter from Portugal, Air France, KLM + Martin Air, Aeroflot, Lufthansa + Condor, Virgin, Copa, Lacsa , Aeromexico, Taca, LAN Chile, Evelop, Plus Ultra, Wamos. For all other flights or arrivals, you will need to book individual transfers.